The border between North and South Korea is the Demilitarized Zone (the DMZ). It is one the most heavily militarized strips of land on the planet. The DMZ has become a locus for international tension, linguistic contradiction, and ecological beauty. Jongwoo Park: DMZ, by Jongwoo Park illuminates a tiny patch of land few have seen and no one else has photographed. In an opening note Mr. Park states, “What was quite surprising, however, is that there were not even military photographic records, either periodical or occasional ones.” What Park photographs has never been seen before and has never been documented before by either civilian or military photographers. This can’t be overstated. “The DMZ is a liminal zone,” is how Dr. Alasdair Foster begins his introduction to Park’s photography. Foster is Ambassador for the Asia-Pacific PhotoForum and specializes in consulting for international cultural projects. His introduction, entitled “At the Threshold” gives DMZ added academic heft. Park succeeded, as is evidenced by the fact DMZ won the Steidl Book Award Asia. Despite Park’s best intentions, narrative may be an inevitable by-product. Observer’s will build their own stories from the photographs, even if at an unconscious level. The simple premise of the assignment was complicated by the permissions he had to receive before photography even began. 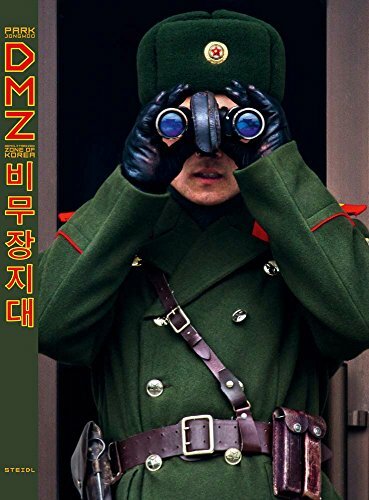 “To start with, every time I wanted to enter the DMZ I had to obtain permission from the authorities, namely the Military Armistice Commission of the UN Command, the Ministry of National Defence, the Joint Chiefs of Staff, South Korea’s Army Headquarters, and all the local army divisions.” The images Park captures betrays the bureaucratic nightmares and months-long advance planning necessary for even a single visit. In a strange way, Park’s mission became similar to that of the South Korean military personnel stationed along the DMZ. His mission was to gather evidence. Similarly, the military personnel went out in small groups, usually platoon size, to engage in intelligence gathering missions. Military intelligence is all about gathering evidence about the opposition. The evidence Park gathered could fit into categories as diverse as photojournalism, military photography, architectural photography, and nature photography. He curates his selection around the various boundaries separating North and South Korea. Each successive boundary is explained in methodical detail with accompanying photographs. It is a journey into a rugged landscape where language is contorted with Orwellian contradictions. Jongwoo Park: DMZ is an incredible document. It offers a rare glimpse into a world only seen in the circumscribed rituals of international diplomacy and prisoner exchanges. Park does his best to present an unbiased and objective record of the military personnel, bases, and wildlife in the area. The DMZ becomes a real place. It comes into view with a rust on endless miles of barbed wire. It is seen in the eyes of soldiers on patrol. Goats, deer, and wild boar share the landscape, their paths stopped by the barbed wire and countless landmines.